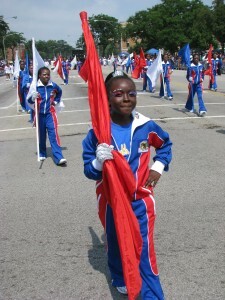 Editor’s Note: As summer rapidly fades into fall, we commissioned Senior Correspondent Jacqueline Thompson to write about one of Chicago’s favorite summer events, the Bud Billiken Parade. Read below and plan to attend the parade next year. The Big Bold Bad Bud Billiken Parade did it again. Eighty two years young, it is still exciting and still evolving each second Saturday in August in Chicago. For all these many years, the parade has proven to be THE event of the summer. All other shows and programs are planned around this day. 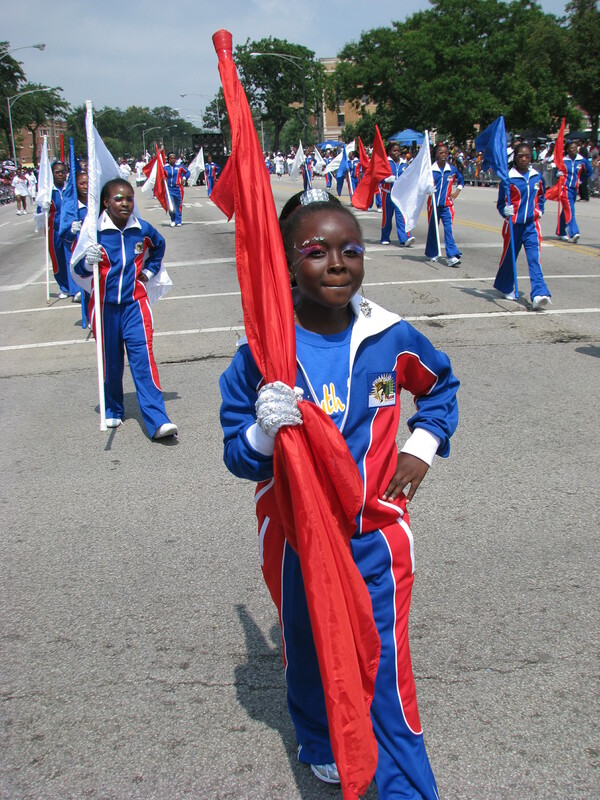 The whole city – South Side, West Side and North Side – contributes school marching bands, dazzling floats and municipal partners such as the Fire Department and the Chicago Police Department. This year, of all things, a group of firemen did an expert line dance. They were very well received and applauded. 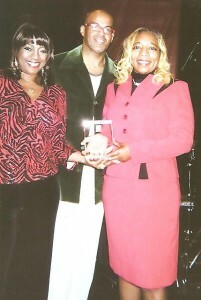 On Saturday, June 18, 2011, Chicago’s own Sam Cooke was inducted into a select group honored by the posting of a street sign in their name. Each honorary street sign is placed in a prominent position either where the person lived or made their mark on society. 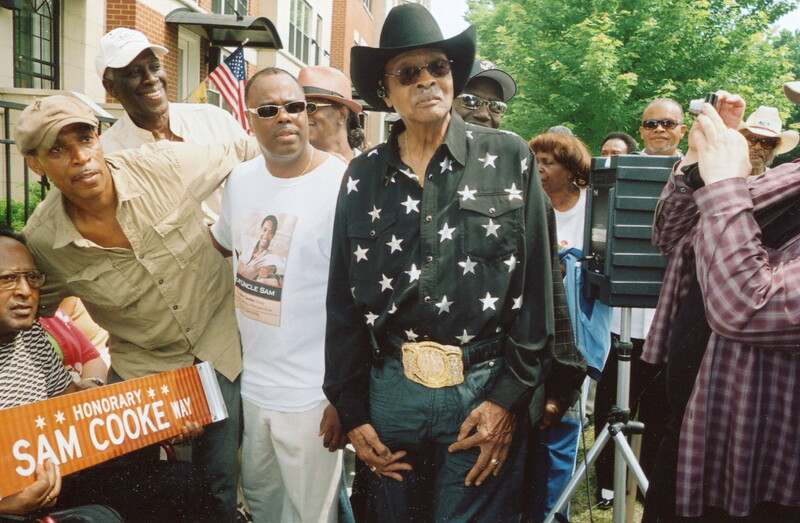 On the corner of 36th Street and Ellis Avenue in the Bronzeville neighborhood, a brand new sign reading “Sam Cooke Way” establishes forever the place where the singer, songwriter, business man, husband, father, brother, uncle, pioneer and social change activist lived and learned. The throng of people who came to witness the dedication were jovial, sober, high spirited and very eager. They shared their common love for Cooke in conversation and memories. Childhood friends of Cooke’s stood right by me and began to talk to me when they saw me taking notes. Scotty Wiggins of 532 E. Browning St. reminisced about Doolittle Elementary in the 1940s, when they all attended. Then, Gerald Rhymes, who lived at 470 E 35th St. at the time, added his memories. Clarence “Sonny” Wilson of 470 E. 35th St. recalled, “I used to sing baritone with him.” They all agreed that “It was about time they did this.” Cooke died in 1964. A big limousine bus brought most of Sam’s family to the scene. Then the speakers began to arrive, and electricity was in the air. Radio personality Herb Kent, Cook County Commissioner Jerry “Ice Man” Butler, Ald. Pat Dowell (3) and Prentice Butler, an assistant to Ald. Will Burns (4), all made remarks. The second annual National Public Housing Museum fundraiser, billed “An Afternoon of Good Times,” was attended by a sold-out crowd of cheering guests, eager to applaud the hard-working hosts and their choice of honorees, former public housing resident luminaries and their achievements. The welcome address by Chicago Housing Authority officials Joyce Chou and Scott Ammaral was a smooth take-off into an illuminating program. 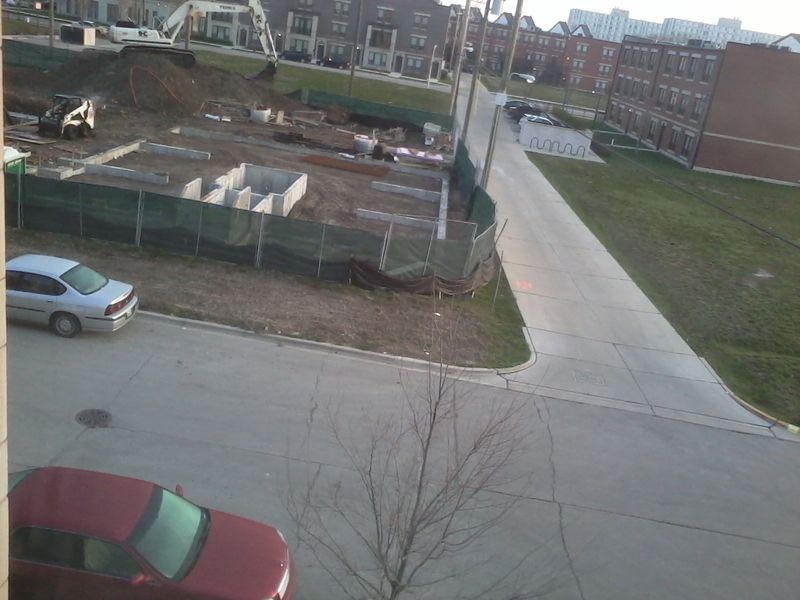 Next, Ald. Walter Burnett (21) graciously introduced Bern Nadette Stanis aka “Thelma” from the popular 1970s television sit-com “Good Times,” which brought Chicago’s own Cabrini Green public housing development into focus nationwide. She is the national spokesperson for the museum and was the mistress of ceremonies for the event. Stanis’ background includes a past of actually living in the Brownsville Housing Development in Brooklyn, N.Y. In the fall of 2009, two marble obelisks were placed at 35th and South State streets to commemorate the African American migrants who gave an identity to Bronzeville and attract tourists to the area. The obelisks will give people information concerning the rich heritage of the Black Americans who migrated to Chicago from the South in 1900 and the following years. Ickes Homes News: The Final Curtain? 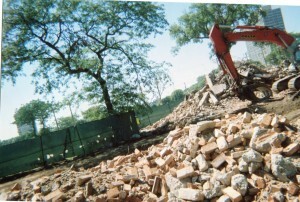 For over two years, Residents’ Journal has been reporting how the Harold Ickes Homes Chicago public housing site was supposed to be rehabbed along with Dearborn Homes, Cabrini Green Rowhouses and the Altgeld Gardens far South Side public housing complex, according to the U.S. Department of Housing and Urban Development’s (HUD) April 2008 Moving to Work Agreement with the Chicago Housing Authority. In the interim, CHA closed down and demolished most of all the buildings at Ickes, and gave residents the choice to relocate to another CHA-rehabbed property or use a Housing Choice ( Section 8 ) Voucher to rent housing in the private market. Comments Off on Ickes Homes News: The Final Curtain? On Tuesday, Feb. 17, the Bronzeville Merchants Association, formerly known as the 35th Street Merchants Association, held a press conference and tour to which this reporter was invited. In welcoming the invitation and attending the event, which started at the Bronzeville Visitor Information Center, 411 E 35th Street, I discovered news of truly monumental proportions. On this date, the Bronzeville Merchants Association, a not-for-profit group of merchants who live and work in and around Chicago’s historic Bronzeville community, announced the upcoming installation of four of ten obelisks. These monuments will be located at two community gateways – two at 35th and State streets and two at 35th and Martin Luther King Drive – to celebrate the rich past and present of Bronzeville.